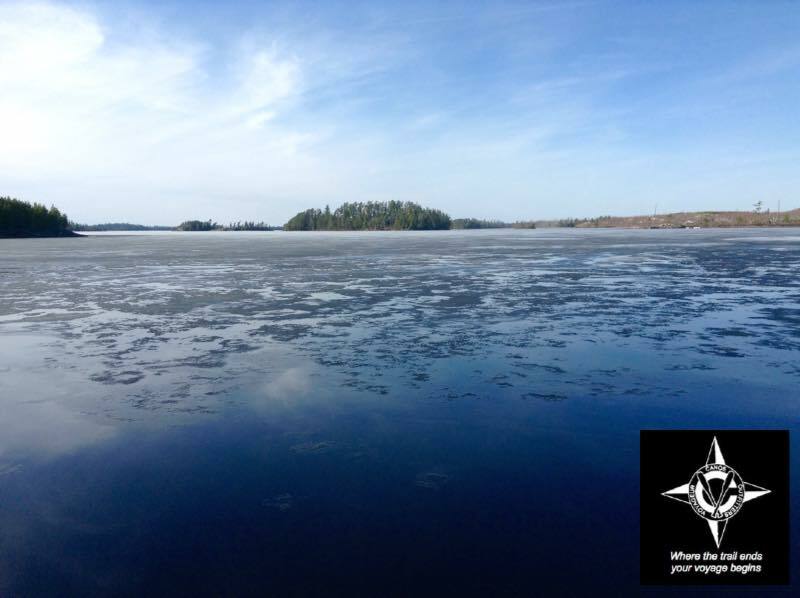 Who predicted the ice on Saganaga would go out when? We can never remember but we know it will disappear eventually. The temperature is still dipping below freezing on most nights but the daytime highs have been balmy. The sun is eating away at the ice as you can see in the photo taken by Tony and Hannah on a recent boat ride. How about May 7th? Sounds like a good guess to me!